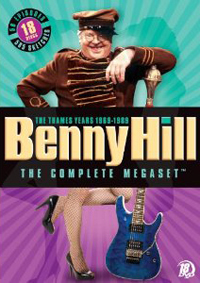 Review: For those who are reading this review and are not familiar with Benny Hill then I will explain who he is and what he did, for those who know about him please skip to the next paragraph for the review of this set. Basically Benny Hill was a small time stage performer who later went onto act on his own show in 1955 on the BBC called The Benny Hill Show until in 1969 he moved to Thames Television and he stayed there until 1989 when his inevitably cancelled. He pioneered into a more adult oriented skit show unlike other skit shows that were airing during the time. Now onto the review of this set! This is the re-release of this complete set that came out in 2007. 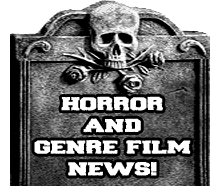 Aside from the episodes you also get a great selection of featurettes, documentaries, A&E Biography Special, and alot more. Now I am not sure if any of these bonus features where ever released on the other sets. If you are a Benny Hill fan than I highly suggest you get this set because on top of getting all those special features you will get to see all the episodes in their original form and not cut up like they were aired in the states. Just don't do what I did and try to watch this entire set fully through because it goes over 48 hours on 18 DVDs (which is awesome) because you will be dreaming about Benny Hill dressed as an old woman for quite awhile. The look of the episodes are about as good as you will ever get, they are cleaned up quite well and sound great also. After watching this set it really makes me want to see all that he did on various films as well as what he did while on the BBC. There is not much more I can say about this set besides that if you are a Benny Hill fan than this is truly a must buy and a set that you won't regret picking up!